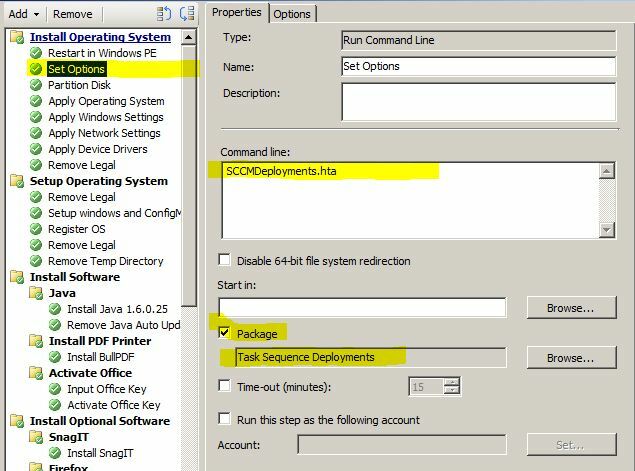 I configured a task sequence to begin deployment of Windows 7 via USB thumb drives which are given to the techs. 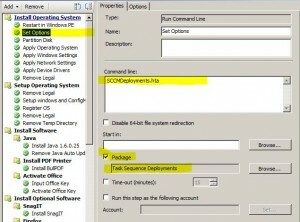 I wanted them to be able to install optional software at the time of deployment. Using Groups within the Task Sequences assigned variables gave me the best method of doing so. I created a front end HTA to allow the techs 1. set the PC name 2. add any additional software that the user might have had on their XP or replaced PC. modify it to match your task sequence variables and the correct value it should be. Keep in mind this will throw an error when not in the WinPE environment. 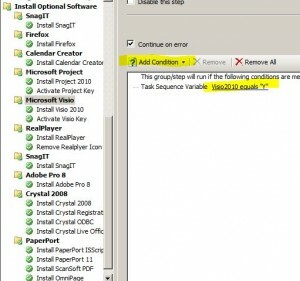 No need to set variables on the Task sequence itself. When the image boots up and begins task sequence the HTA will run and prompt for check boxes and computer name value. This tool is extremely helpful for mass management of clients. After doing some research it appears that after installing SP2 something gets messed up in the .\Microsoft Configuration Manager\install.map file. We need to add the additional srvboot.exe line to the file. Please update the “333664” to match the byte size of your version.